Recently H.E. 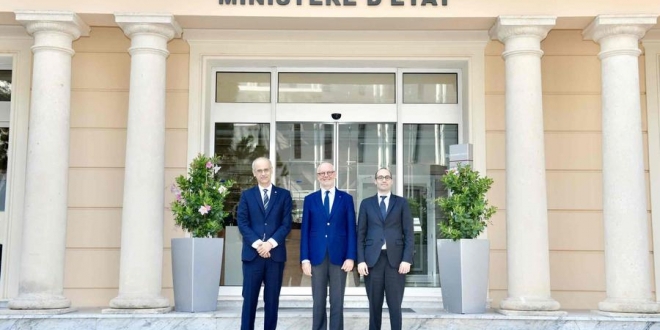 Mr Serge Telle, the Minister of State, welcomed Mr Antoni Martí Petit, the Prime Minister of Andorra, and Mr Nicola Renzi, the Minister of Foreign and Political Affairs and Justice of San Marino, accompanied by delegations, for discussions on progress made in negotiations with the European Union (EU) since March 2015. The working meeting at the Ministry of State provided an opportunity for the three delegations to review the negotiating strategy and schedule, and the areas in which the three nations can advocate common positions. 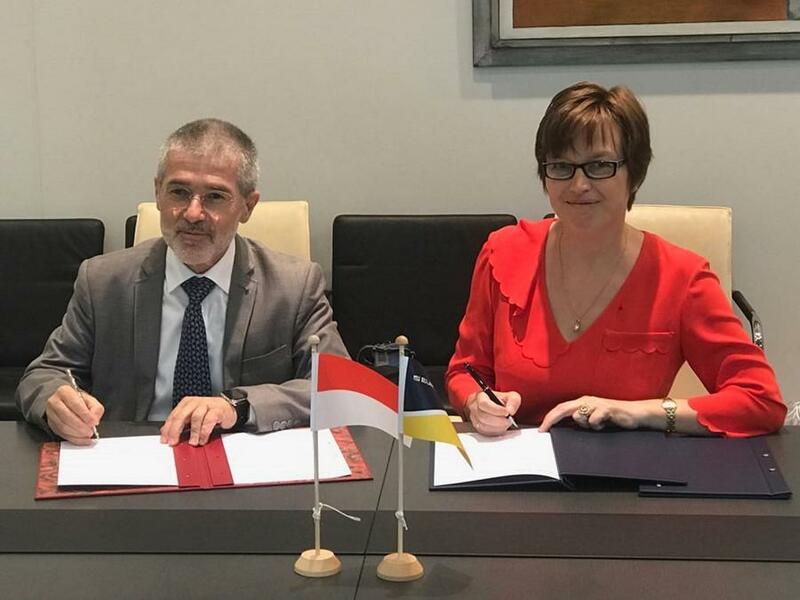 An agreement expanding the areas of cooperation between the Principality of Monaco and the European Police Office (EUROPOL) to all areas under EUROPOL’s competence, including terrorism, cybercrime, organised crime, drugs trafficking, people trafficking and money laundering, was signed by Mr Patrice Cellario, Minister of the Interior, and Ms Catherine De Bolle, Executive Director of EUROPOL this month. In the presence of H.S.H. 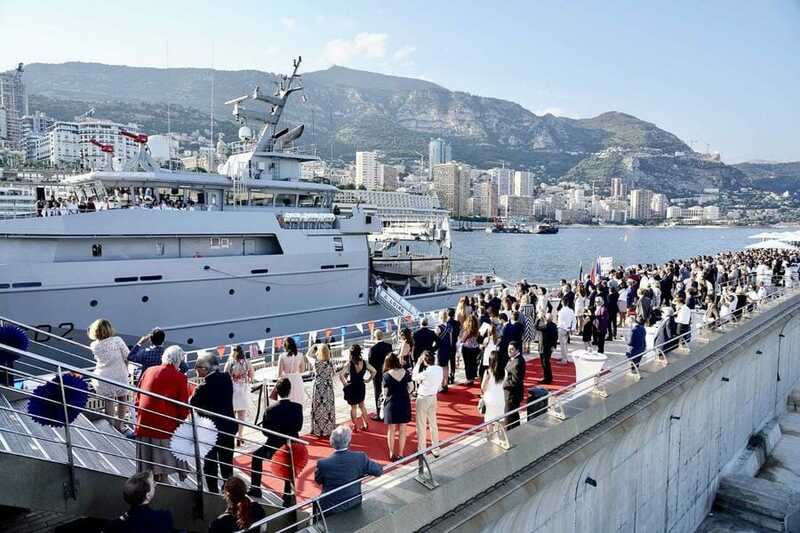 Princess Stéphanie, the Minister of State Serge Telle attended a reception given today on Esplanade Stefano Casiraghi by French Ambassador to Monaco H.E. Ms Marine De Carné-Trécesson to mark the French national holiday. 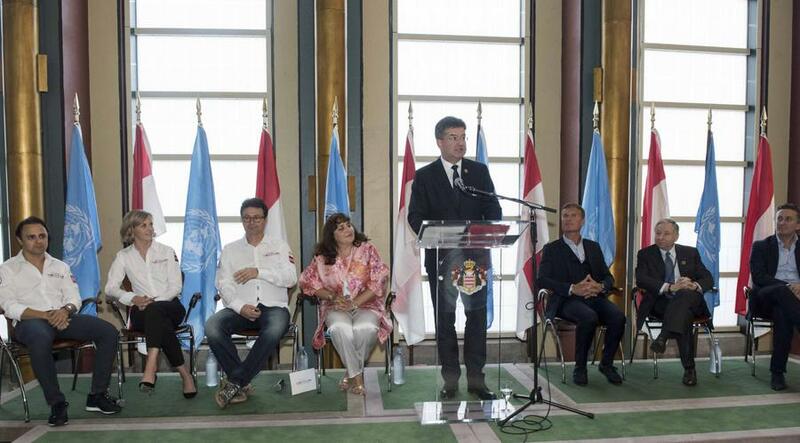 In addition to prominent personalities from the Principality, the celebrations were also attended by H.E. Mr Antoni Martí Petit, the Prime Minister of Andorra, and H.E. Mr Nicola Renzi, Minister of Foreign and Political Affairs and Justice of San Marino, both of whom were in Monaco for a tripartite meeting (additional details are available in a separate release). Earlier this month, the traditional reception to celebrate the anniversary of H.S.H. the Sovereign Prince’s accession was held in the gardens of the Monegasque Ambassador’s residence in Italy. H.E. 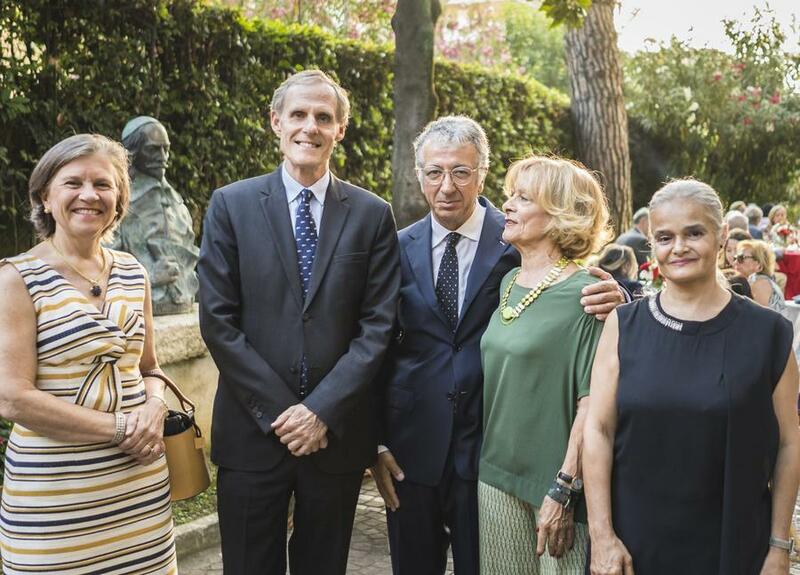 Mr Robert Fillon, the Ambassador, and his wife, assisted by Second Secretary Ms Martine Garcia-Mascarenhas and the full Embassy team, received more than 300 guests, including officials, diplomats and friends of the Principality. In addition to representatives from the Italian Ministry of Foreign Affairs and the Apostolic Nuncio and Dean of the Diplomatic Corps in Italy Mgr Emil-Paul Tscherrig, the ambassadors from France and Switzerland, H.E. Mr Christian Masset and H.E. Mr Giancarlo Kessler, also attended the event. Recently H.E. Ms Isabelle Picco, Monaco’s Ambassador and Permanent Representative to the United Nations, and Mr Gildo Pallanca Pastor, Monaco’s Consul General in New York, celebrated the anniversary of the accession of H.S.H. the Sovereign Prince by organising a round table followed by a reception in the United Nations General Assembly building. The President of the UN General Assembly, H.E. Mr Miroslav Lajčák, honoured the event with his presence, and a panel of high-level personalities, moderated by former Formula 1 driver Mr David Coulthard, brought together the UN Special Envoy for Road Safety and President of the Fédération Internationale de l’Automobile (FIA) Mr Jean Todt, Founder and CEO of FIA Formula E Mr Alejandro Agag, Team Principal for the Venturi Formula E team Ms Susie Wolff, and Venturi Formula E team driver Mr Felipe Massa. 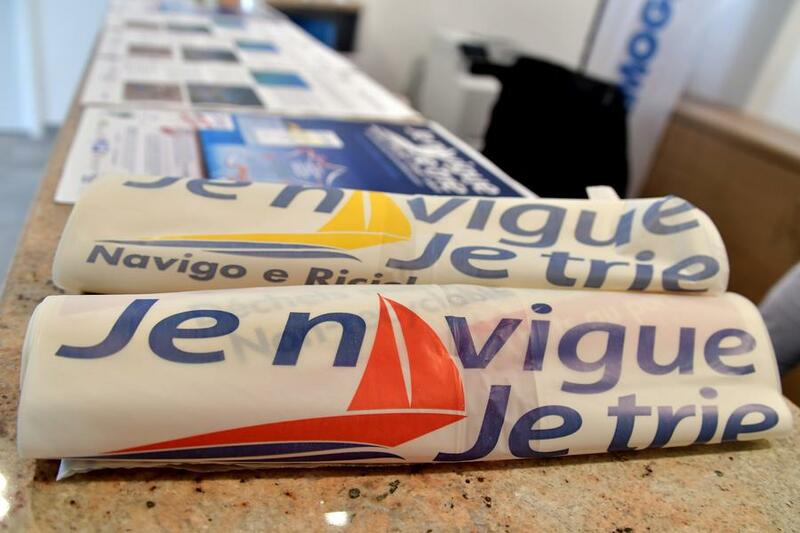 The RAMOGE Agreement has once again launched its annual summer campaign “Je navigue je trie” (“I sail, I recycle”) at the Port of Fontvieille and Port Hercule. 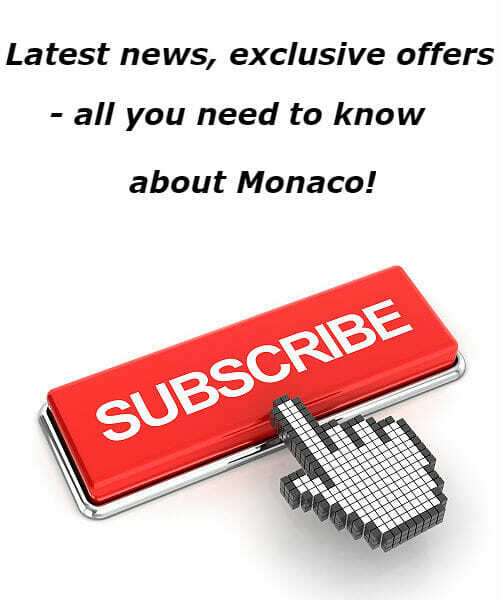 The aim of the campaign, which is being run in conjunction with the Department of Urban Amenities, the Société d’Exploitation des Ports de Monaco (SEPM), and Gestes Propres, is to reduce litter at sea by giving sailors bags they can use to sort and dispose of their refuse. A Monegasque delegation* led by Isabelle Rosabrunetto, Director General of the Ministry of Foreign Affairs and Cooperation, visited Mongolia recently at the invitation of the Mongolian Foreign Minister Damdin Tsogtbaatar to review cooperation efforts in the country since 2008. This working visit, which came ten days after the official visit of H.S.H. 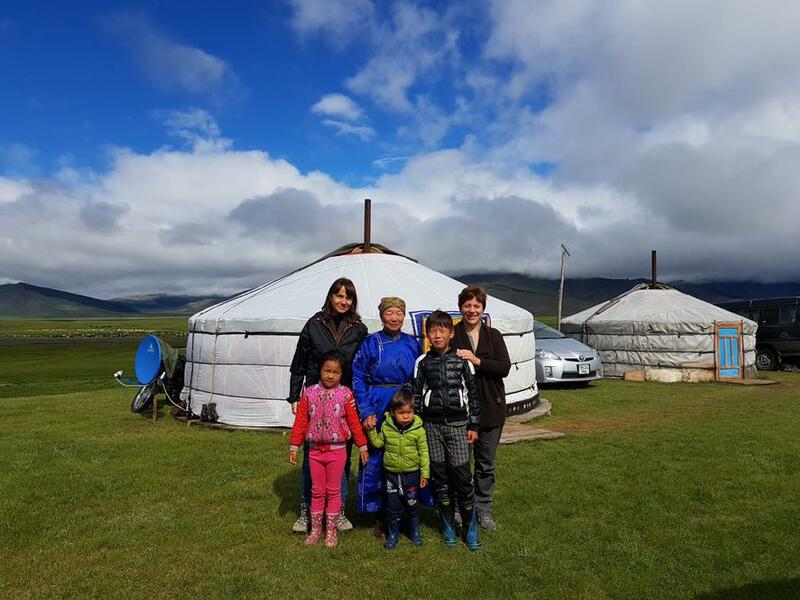 the Sovereign Prince to Mongolia, provided an opportunity for dialogue with the country’s authorities about the projects supported by Monaco’s Official Development Assistance and a chance to undertake field trips to meet partners and beneficiaries. 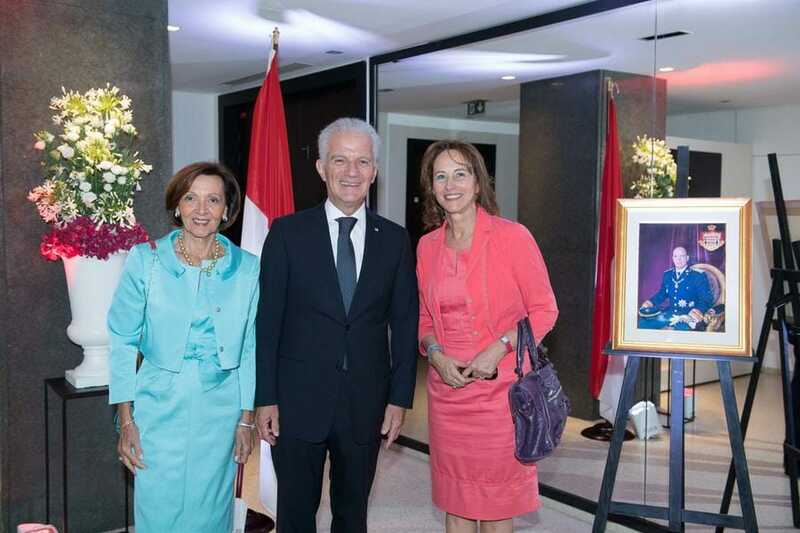 The Principality of Monaco’s Ambassador to France celebrated the anniversary of the accession of H.S.H. Prince Albert II at Pavillon Vendôme, in the heart of Paris’ first arrondissement, recently. 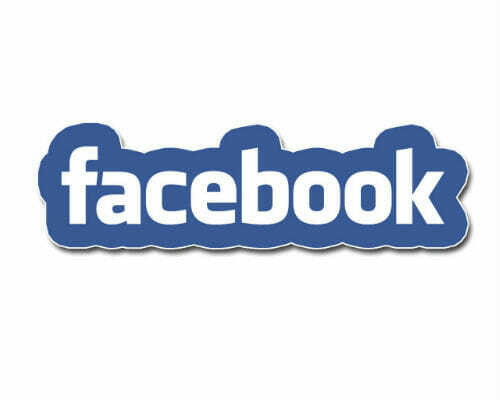 More than 400 guests were welcomed by H.E. Mr Claude Cottalorda and his wife, including H.E. Ms Ségolène Royal, former minister and France’s Ambassador for International Negotiations on the Arctic and Antarctic, as well as numerous ambassadors, senior officials from French ministries and institutions, members of the National Assembly and senators, and the leaders of major French businesses. 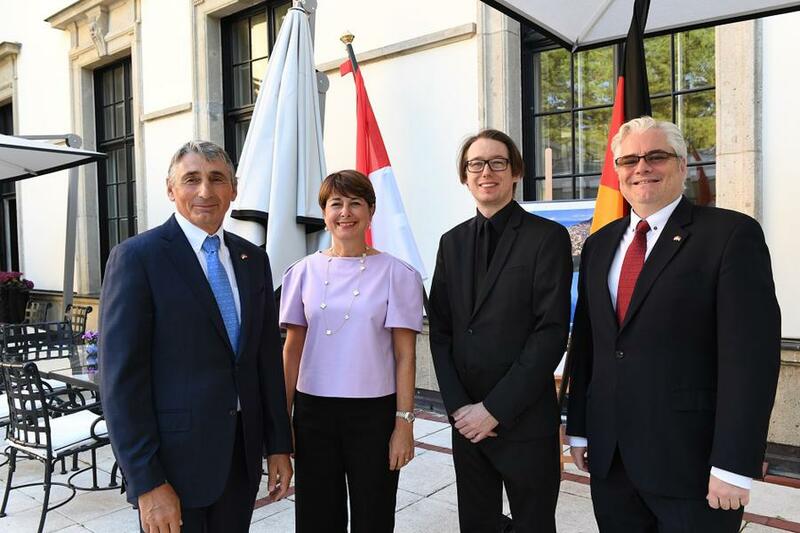 Monaco’s Embassy in Germany held its traditional reception to mark the anniversary of H.S.H. Prince Albert II’s accession this month. More than 200 guests were invited to a buffet and cocktail reception at the splendid Patrick Hellmann Schlosshotel in Berlin. During the morning, the annual meeting with the Consuls of Monaco in Germany and Poland was held at the Chancery, followed by an informal lunch. 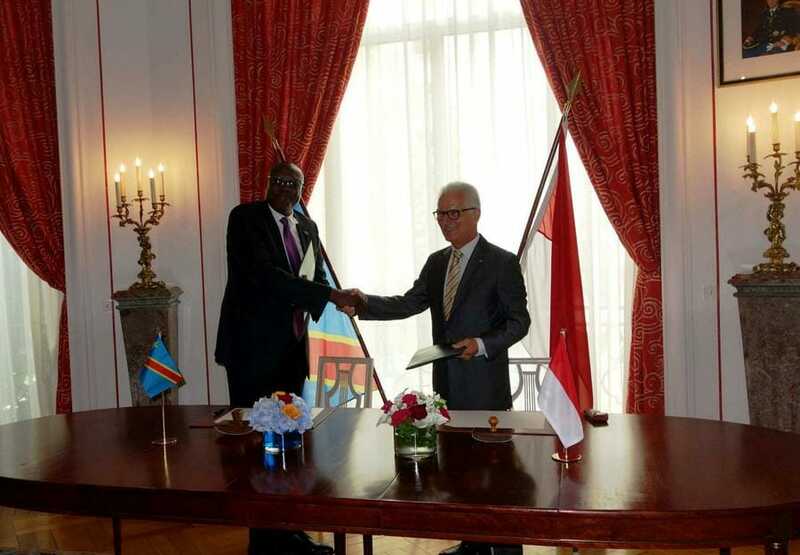 The Principality of Monaco and the Democratic Republic of the Congo signed a joint communiqué this month, establishing diplomatic relations between the countries. The document was signed by H.E. Mr Claude Cottalorda, Monaco’s Ambassador to France, and H.E. Mr Christian Ileka Atoki, Ambassador of the Democratic Republic of the Congo to France, having both been duly authorised to do so by their respective governments.